Get grillin' while the grillin's still good, tea lovers. 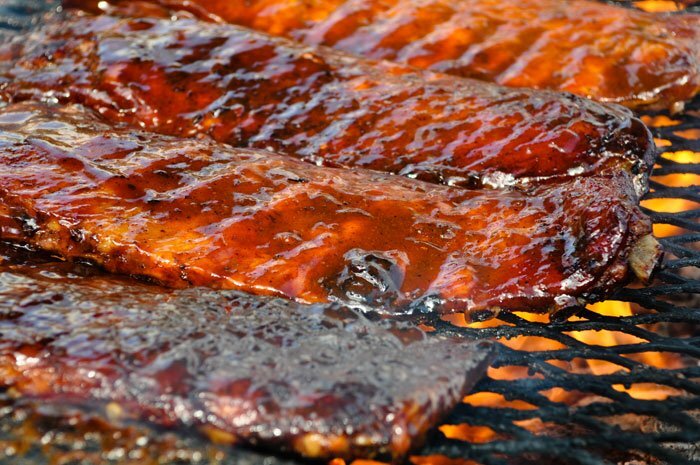 The kids may be back to school, but we say there's still plenty of nice weather for barbecue. We found a way to incorporate black tea leaves into a recipe for barbecue sauce that even kids are going to be fans of, since it's not too sweet or spicy. Black tea, as you may know, includes plenty of tannins, which is that quality that kind of dries out on your tongue with every sip. (Some red wines boast plenty of tannins as well.) In this recipe the tea leaves are "steeped" into the sauce last, and then strained out. We recommend this sauce with ribs or chicken, and serve with a nice glass of black iced tea, perhaps?! Combine ketchup, vinegar, apple juice concentrate, bacon, soy sauce, brown sugar, mustard, garlic powder, paprika, lemon pepper, and bay leaves together in a large saucepan; bring to a boil. Stir onion and tea leaves into ketchup mixture, reduce heat, and simmer, stirring often, until sauce is slightly thickened, 10 to 15 minutes. Strain sauce and cool.